I’ve just been to see the play of To Kill a Mockingbird. With the children – At least the older children. Because it was so popular I had to book it months ahead, but I thought great, gives me time to re-read, and make sure the kids have read it before we go. I picked it up, got started and quickly realised that I’d actually never read it. It’s one of those books that everyone talks about, everyone says you must read, and you say yeah yeah and then you just sort of assume you’ve done it. Or at least I did. So now I have and I can finally understand what all the fuss is about. It’s fantastic. Almost a perfect novel. Of course you probably all know this already, as I imagine you all actually have read it, instead of just saying you have. But, if by some chance you haven’t, then I would urge you to get a copy of it as soon as you can and get on with it. And then give it to your children and get them to read it. I say almost perfect because actually it can take a little while to get into. Like 2 chapters or so, just to get used to the language (a bit like The Clockwork Orange, it just takes some adjusting to). Once you’re in it properly you can’t stop. Entirely (and utterly credibly) narrated by an 8 yr old girl it’s gripping, funny and wise. Even though the world (deeply racist southern America) doesn’t really exist anymore, the issues and emotions raised by the themes are so universal that it feels timeless. It’s by Harper Lee – the only thing she ever wrote. But I guess if I’d written that then I’d stop too. One of the things it made me think, (I imagine everyone thinks this) was what a great dad Atticus was, if only I could be more like him – which then led me to another favourite dad, Danny’s dad in Danny, the Champion of the World. It’s a fantastic book, my favourite Roald Dahl and another great story of a single dad raising his kids the best way he knows how. Of course Danny’s dad is a poacher. In a Robin Hood like way he steals pheasants and then shares them with the people in the village. So he’s a thief. But that doesn’t matter at all. He’s a good thief, and we really really really want him to get away with it. Roald Dahl’s heroes are often law-breakers or borderline anarchic (Fantastic Mr Fox, Matilda) and definitely the better for it. Then I got to thinking about other parents in literature, bad ones, good ones, absentee ones – there are many great orphan novels; Oliver Twist, The Secret Garden, Harry Potter, the BFG, Heidi, Pippi Longstocking, Great Expectations, Ballet Shoes, James and the Giant Peach, The wolves of Willoughby Chase and no doubt many others. 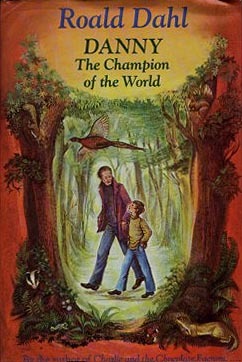 My personal best though is another of my all time favourite children’s series. 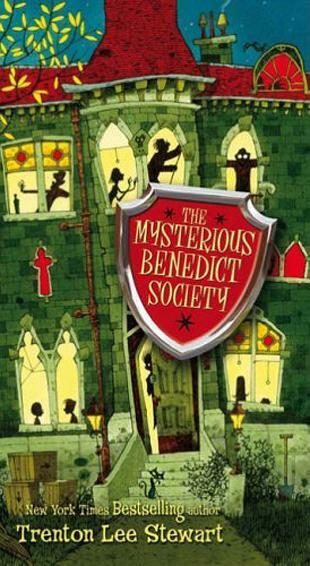 it’s American and it’s called The Mysterious Benedict Society. Absolutely brilliant stories (three books) about a group of kids who are assembled by an eccentric to battle another eccentric who wants to take over the world. Really funny, full of really cool puzzles, exciting, thrilling and genuinely surprising. Another one where I actually wouldn’t hand them over to my children until I’d read them first. I did that with the last Harry Potter, claiming that I needed to check it was ‘suitable’ before my daughter could read it. Anyway, they’re written by someone called Trenton Lee Stewart – you should read them in order but it’s not hard to work out which comes first. Also in orphan-lit I should mention Lemony Snickett and the series of unfortunate incidents – I do like them, but 13 volumes! Really? Also my youngest daughter was moany and complained that they were ‘a bit depressing and dark. Just when you think it’s going to be ok it gets grim again’. Funny though. So, back to great parents. The Potts in Chitty Chitty Bang Bang. Anyone who has seen the film only will be confused by this as in Ian Fleming’s original novel, although Caractacus is basically the same person (encouraging his children to always say yes to adventures or they’ll lead a very dull life) there is also an excellent Mrs Potts. The Weasleys in Harry Potter are pretty good and of course, Ma and Pa Ingalls in Little House on the Prairie. Actually, my daughter has just suggested another favourite. 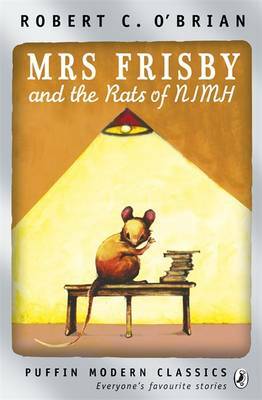 Mrs Frisby and the rats of Nimh – Robert C. O’Brien. For those of you who haven’t read it, it’s an amazing story about a field mouse who has a sick child and needs help moving him from the summer bit of the garden to the winter bit. A tiny problem, for a tiny creature, in a tiny world. But, as you go further and further into the book the story gets larger and larger until it ends up covering eugenics, artificial intelligence and the nature/nurture thing. Huge subject. Amazing book. I rushed out (online anyway) and bought everything else he’d written but none of it matched up. A one-hit wonder, but what a hit. Bad parents are somehow less fun – there’s the terrible thing that happened to Barnaby Brockett – a weird book by John Boyne (he of the extraordinary Boy in the striped pyjamas). I didn’t like it at all, strange story about a boy who floats and his parents get so fed up they let him go. He heads off, has adventures, learns that being different isn’t necessarily bad and finally floats off into the distance. His parents are appalling and can’t bear the thought that their son is different. Way too moralistic and linear (one unmotivated and unlinked incident after another) for me. I’ve already mentioned Matilda, although part of me quite likes parents who actively disapprove of reading. Cinderella, Hansel and Gretel, Snow White all have spectacularly evil step mothers, and I’m told that Jaqueline Wilson’s illustrated mum is quite weird. Finally, thank heavens for my children reminding me of things I’ve missed out – The Jungle Book. Mowgli’s a proper orphan, Baloo, Bagheera and King Louis are all surrogate parents. Ish. Baloo more of a really naughty older brother/uncle or maybe even Godfather. Worst father of all? See below.